Most franchisees who buy into janitorial or domestic-cleaning concepts are true mom-and-pop businesspeople. They run their enterprises from the kitchen table and spend countless hours on their hands and knees, earning clients one clean floor at a time. However, when Harry Young and his wife, Emelie, bought a Molly Maid house-cleaning services franchise in Austin, Texas, in late 1994, Young had no intention of ever touching a mop. In fact, after one day of training in which he had to clean a house, he vowed he'd never do it again. Instead, Young, who had moved to Texas to soak up the sunshine after decades as an IT guru and CEO of air-defense companies in Washington, D.C., gave his Molly Maid the full corporate treatment. That meant setting up an aggressive business plan and organizational chart, with the objective of growing as quickly as he could. "We set up a system right out of the corporate world," he says. "This franchise is interesting because it's a microcosm of a large company. Our business involves everything a big corporation deals with in complete miniature." However, not long after Young took the reins of the franchise, an Austin defense company caught wind that he was in the area and lured him back to the tech world. Emelie reluctantly agreed to helm Molly Maid while Harry returned to his old line of work for what he thought would be a five-year term. Instead, it turned out to be a 10-year odyssey that included 300 days a year of international travel. While Harry was otherwise occupied, Emelie followed their business plan and the Molly Maid system to a T, and the franchise grew quickly. By the time Harry took back the reins in 2004, his wife had crafted a company that was taking in more than $1.2 million in annual revenue. Now Emelie has retired, and under Harry's care the franchise is approaching $4 million in annual sales, with 10 managers and 90 maids. During the recession, the Youngs' Molly Maid grew from 28 service teams to 32, while its chief local competitor dropped from 20 teams to 12. 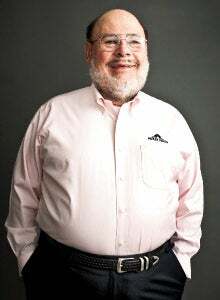 Harry is quick to point out that he alone is not the reason for the success--in fact, in 2005 when he was recruited to Ann Arbor, Mich., to serve as interim president of Molly Maid for a year, he relied on his managers back home to keep expanding his franchise there. How did Harry Young grow a maid franchise into a $4 million powerhouse? He did things by the book and put his trust in his employees. Here are the key points to his success. A franchise is a business, whether it's one person with a mop or a 30-employee restaurant. Develop a business plan, create a marketing strategy and set up an organization. Efficient systems are what allow franchises to grow. Take your time, and hire the right people. Young has at least two senior managers interview candidates before he speaks with them himself. His major criteria: "Will they be able to take on our goals and objectives? Will they catch on to the culture? Most of all, will we have fun together?" Follow the franchise system to a T. Everything else you do is in support of that objective. Trust your employees to do their jobs. Young says he's not interested in micromanaging or measuring people's activities. Instead, he monitors results: "I measure success on an annual basis; I don't obsess about the day to day." --J.D. "If there's a single key to growth and success, it's my young management staff," he says. "My exit strategy is to one day sell the business to them. I don't sign checks, I don't have control over everything. I put my trust in other people, and I haven't been disappointed." Young works from 6:30 in the morning until 6 at night, but he keeps his meddling to a minimum. He sits at a desk in the middle of the office so he can listen for systemic and big-picture problems--things his managers might be too close to see. "That's my whole job," he says. "I hear problems others can't and figure out how to build systems and make our operation stronger." Young's faith in his staff and management is absolute. He recalls his first business venture, an IT company he started in the 1970s. A friend started a similar company, and they both flourished--for a while. "At one point, my friend grew twice as fast. He took on middle management, and we didn't," Young says. "Lots of small-business owners think they have to control everything, but too much control makes you the bottleneck." Young consults and mentors dozens of Molly Maid franchisees around the country each month. The recurring questions people have are, why would a veteran CEO and bona fide techie buy into a low-tech maid franchise, and why choose franchising at all? In fact, his techie background is why Young got into the maid business in the first place. He looked at many companies and saw that they were vulnerable to technological changes. Printing, he points out, is struggling in the era of electronic brochures, and travel agencies are on life support. Cleaning services, he realized, would never be taken over by technology. The business has a weekly recurring revenue stream, and its family-friendly hours mean he can attract good, long-term employees. In a mom-and-pop-dominated sector--national franchises make up less than 20 percent of maid service providers--with wildly varying standards, he saw immense growth potential for a company that was consistent, efficient and insured. As for opting for a franchise versus hanging up his own shingle, Harry blames his corporate background: Despite starting and running several businesses during his life, he's not sure he's a true entrepreneur at heart. "My strong suit is growing organizations and hiring the right people. With a franchise, you don't have to make up the rules. You set up systems and subsystems," he says. "And if you follow the rules efficiently and effectively, it can turn out very well." One day, Lisa Allen awoke to the fact that she'd been living in a hotel for two years. In the early 2000s, the North Carolina pharmaceutical employee was shipped off to California for what was to be a temporary assignment at a manufacturing plant. The assignment was extended, and extended again, until one day she realized her best friend was an ice machine. "You get a little bored living in a hotel," she says. "So I started soul-searching and researching what I really wanted to do." Allen discovered her dream was to own a restaurant; in particular, a branch of casual dining restaurant East Coast Wings, a favorite from back home. Her call to the restaurant's founders in 2004 was serendipitous--they had just been discussing the idea of franchising. Allen signed on as the first franchisee, setting up shop in High Point, N.C., part of the tri-city area that includes Winston-Salem and Greensboro. With no experience in small business or food service, she opened the 45-seat location with an SBA loan. It was an immediate hit, bringing in $35,000 per month that first year. By 2007, the location was selling more than $1 million in wings per year and had to double capacity to 90 seats. Last year, when the franchise added table service, Allen expanded again. "I think my lack of restaurant experience was an advantage," she says. "I'm sure if I'd worked in food before I would have developed bad habits. But I saw the same vision the owners saw. I had total faith and trust in their concept." Allen is quick to give credit for her success to East Coast Wings, saying the fresh ingredients and award-winning sauce are what draw customers. But her dedication played no small part; what's more, she's a champion at inspiring the same allegiance in her staff. Of her 30 employees, half have been with her more than three years, and five have been with her more than five years--unheard of in the high-turnover food-service industry. "I have to have a very good team to support me and serve the customers," she says. "You need to mentor them and empower them so they will perform and put their hearts into it. The whole team is not operating at 100 percent if one person is not there with us." The key to getting people motivated, according to Allen, is mentorship, which she says separates her from most franchise owners. "I try to teach my employees that anything you do in life is worth doing the best you can. My employees know I'm going to train them to do their best, and when I'm done with them, they're going to be the best cook in High Point, the best around," she says. "But for me to build them up, I have to get into their hearts and minds." That means leading by example. "I'm in the restaurant cooking every day. It's 100 degrees outside right now, but I didn't stay home. I cooked this morning, and I'll do it again this evening," she says. "You can put in a lot of hard work, but if you don't put your mind and soul into a business, it doesn't mean much." Sports photography franchises are typically small-scale and homebased. Mitch Ziffer's TSS franchise, however, is housed in a 3,300-square-foot office in Margate, Fla., with seven full-time employees and 17 part-time photographers. His business brings in more than $2.1 million in annual revenues. "I've always been driven to be the biggest and best," Ziffer says. "I like the financial rewards and the satisfaction of knowing I did it and can do it." His road to franchise success was based on two things: location and infrastructure. When he signed on with TSS 20 years ago, Ziffer chose central Florida as his territory, reasoning that the large population of children and a climate conducive to year-round sports leagues would lead to a steady client base. He was right: His was the fifth-most-profitable unit in the system after his first year. But instead of sitting back and relying on the local kid boom to fuel his business, Ziffer laid the groundwork for future growth. He rented office space, hired support employees and expanded into surrounding counties. "I was probably the first TSS franchisee to run this as a larger business," Ziffer says. And he's done so in spite of all the technological changes in photography over the past decade. "As my business went along, I put in the infrastructure to support it." Now Ziffer mentors other TSS franchisees and is introducing add-ons to the business, like trophies and ticket promotions. Recently he expanded into school portraits. Although he has the resources to start an independent business, Ziffer says he wouldn't dream of abandoning the franchise model. "Sure, I could go out on my own, but that would involve purchasing lab equipment, and then you're really in the manufacturing business," he says, pointing out that TSS processes all the photos he takes. "That's the beauty of being involved in a franchise. We don't have to focus on production. We can focus on marketing and serving the customers, the tasks that really matter."